The most important part of Search Engine Optimization (SEO) is backlinks and in this article, you will learn in detail what are the quality White hat links and how to get backlinks fast. You will learn the following techniques to outrank your competitors easily. By following just these 4 techniques you can rank for any keyword you want higher in Search Results. How to Get Backlinks Fast and Naturally in 2019? Before I go further I advise you not to apply any spammy techniques if you want to do real and long-term SEO of your site. Let’s learn the 4 ways to build high-quality backlinks. 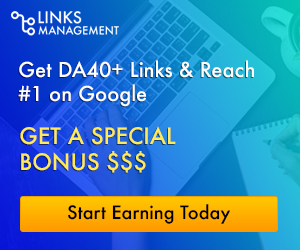 Google simply loves such links and the great thing is, that they are from aged domains which is a very big ranking factor as these domains have already high trust in the eyes of Google. Watch the complete tutorial to learn, how to fix broken links. This is also one of the best techniques to steal your competitor’s Backlinks. In this, you have to first find your competitors. To do so, type in Google search your Keyword and the first 10 results are your main competitors. To replicate links you need a tool, there are many tools available but I recommend you to use Ahrefs tool, I’m also using this and this tool has many features which help you a lot. Watch the following tutorial which tells you, how to replicate backlinks fast and easily. Guest Posting one of the oldest method to get quality links. Before I explain further I want to tell that do not mix Guest Posting with Article submission sites and Private Blog Networks (PBN). Article submission which allows everyone to publish article does not come under the category of Guest Posting. This is a big mistake or confusion that lots of newbies have. Under the term, Guest Posting comes those posts or links which are first reviewed by the site owners and then get approved if they are appropriate for them. How to do Proper Guest Posting? In this way, you can find sites which allow Guest posting in your niche. After finding the sites you have to read their Guidelines. Properly read them and then try to write articles according to their requirements as no one wants spammy spun articles. So if you want that your Guest Post gets approved you have to write an article by thinking that you are writing it for your own blog and for your own visitors. One more thing, do not add links at the top of the article, try to add in the middle or at the end. Due to the overuse of this method of getting Backlinks by spammers, this is now considered as black hat method of getting links. But I’ll tell you how to get the white hat backlinks fast by applying this technique. First of all, you have to find forums which do not auto approve your comments containing links. Because if the links containing comments when approved by moderators then your links will no longer be spam. And Google will 100% consider these as natural and quality links. In this way, you can use forum posting to get tons of useful links and a lot of traffic. If you apply just these 4 techniques you can easily outrank your competitors and one more thing always take into consideration the ratio of do follow and no follow links. Read these SEO Quotes if you need motivation. Keep building links because when you stop building them after reaching the top 3 positions your competitors will outrank you soon as they are constantly building them.